Whether it's for print or for web, most images need to be sharpened before displayed. There are a million different ways to accomplish this, but I prefer to keep it simple and in one program. This easy workflow will help you create eye catching images that pop out to your viewers. 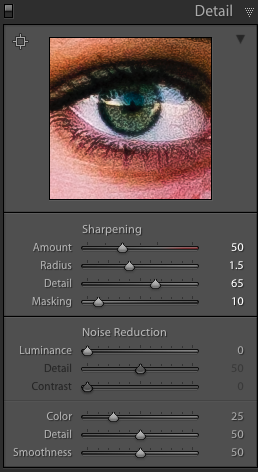 The sharpening tool in the detail panel is similar to the sharpening filters in Photoshop. You can adjust the amount of sharpening as well as various thresholds for where and how it will be applied. For a good starting point, 25 - 1.0 - 30 - 10 is a good basic level for sharpening. For this portrait, my settings were 50 - 1.5 - 65 - 10. This is mostly because I was shooting wide open at f/1.8 and I wanted to bring back a lot of sharpness the Canon 50mm 1.8 loses at that aperture. 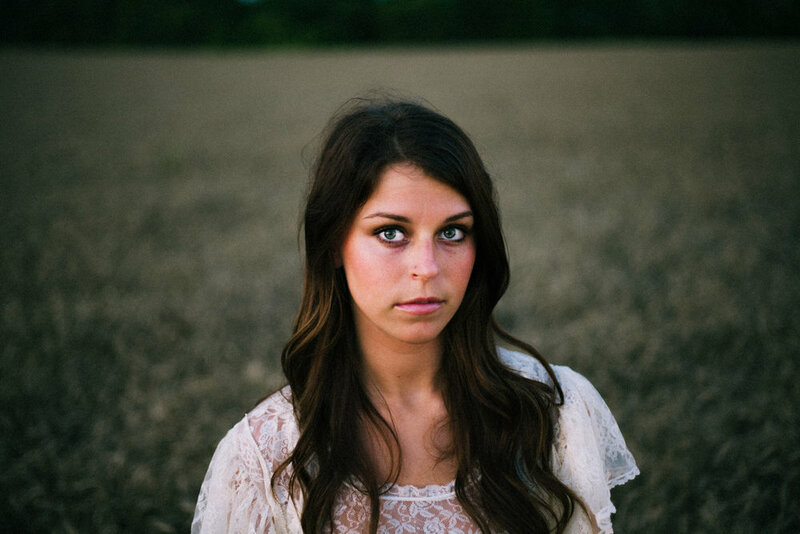 If you are working on a portrait or any image where you really want specific elements to be sharper than the rest of the frame, you can use a combination of adjustment brushes to achieve the hyper sharpness you see a lot in large aperture, shallow depth of field photos like this portrait. I used a combination of negative clarity on the subjects skin, then positive clarity and sharpness on the eyes, nose, and lips to enhance those features. The last step, and likely the most crucial, is the export sharpening settings in the export module. You have three options: none, print, screen. I use print, which tends to sharpen a little more than screen, but I find it works well for both. You also have three levels to choose from; low, standard, high. I use standard most of the time, as it provides sharp lines without looking overdone on smaller screens like phones and tablets. How Do You Sharpen Your Images? Sharpening is an often obsessed over aspect of lenses, but many photographers don't utilize the tools available in post production to enhance their lenses sharpness. Luckily, Lightroom has fantastic sharpening tools and features if you know how to use them. Do you use Lightroom, Photoshop, or another technique? If you enjoy the free content please consider checking out my premium preset collection. It includes 60 color, 10 black & white, and 15 fine tuning adjustment presets (including custom sharpening presets). Stop staring at your computer for hours and start loving your editing.